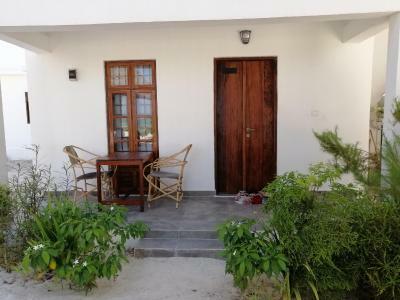 Lock in a great price for Savera Beach Houses – rated 9.5 by recent guests! Everything! 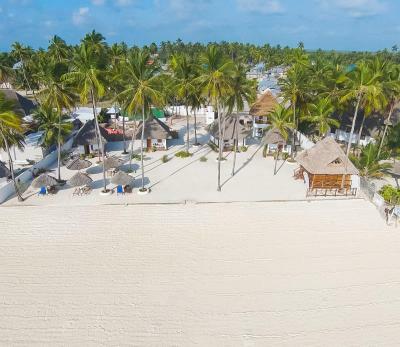 Staff, organization, rooms, location, restaurant, bar, the beach. It was way better than what I could imagine. 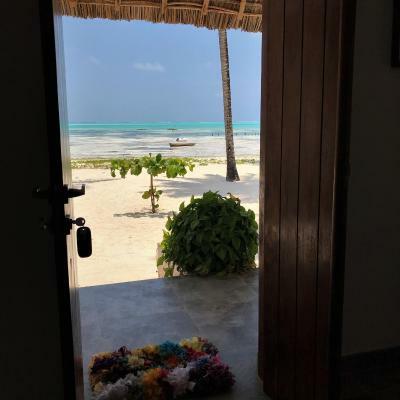 Breathtaking view of the sea We stayed in various highly rated places along the stretch and found Savera BH to be one of the best value for money bungalows . 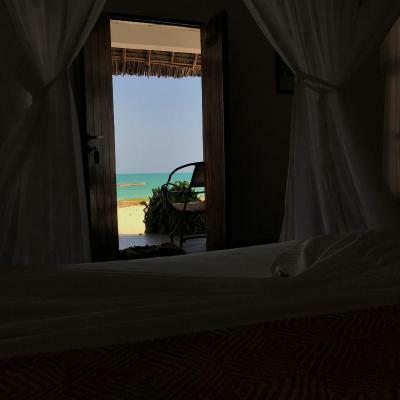 We stayed in the first floor bungalow and had most beautiful aerial view of the beach and the sunrise. Extremely clean, most comfortable bed from all other hotels and breakfast served at restaurant was really good. 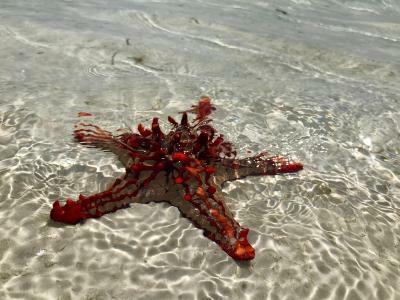 We are already looking forward for our next holiday at Savera Beach. Thank you Fredi and Savio for all your efforts, you made our stay perfect and made us feel welcomed. Beach house was just as described. Freddy was very helpful. The beach at high tide was amazing. 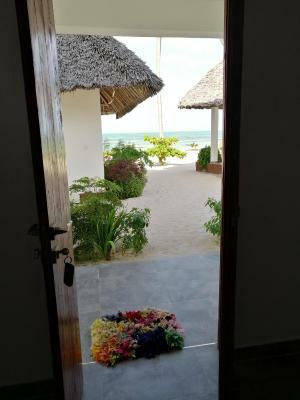 The door opens right to the beach, beautiful view. The beach and the sea were remarkable, really enjoyed this. Very beautiful location and highly recommended if its just the two of you. 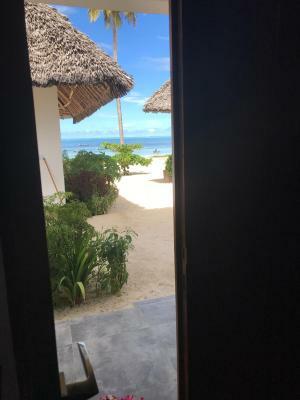 Bungalow door opens to Indian Ocean 😍 and is facing the sunrise right on the beach. We got to see the most beautiful sunrise. The bungalows are of the best quality and simple interiors. 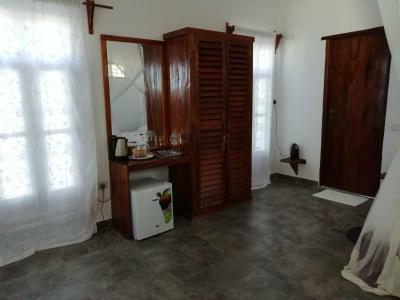 Very spacious on the inside and has a very nice bathroom with rainforest shower. 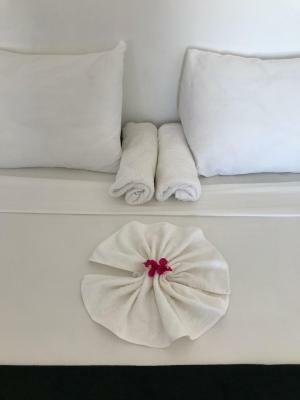 Very clean and well maintained by daily housekeeping. 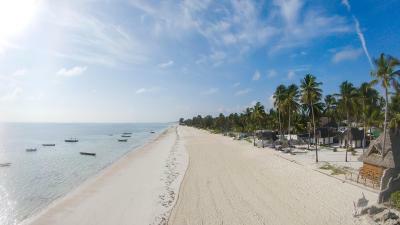 Fredi and Savio took very good care of us and gave us good recommendations of things to do in Zanzibar. 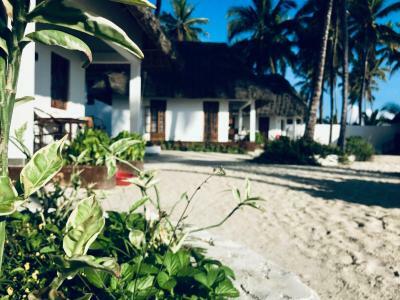 We highly recommend Savera Beach Houses. Just book it already!! The staff was really nice, specially Anna :-). 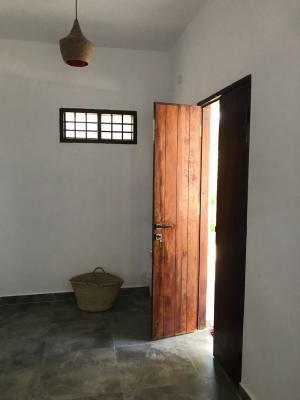 We choose this property cause Vera is Portuguese so this was easier for us, but at the end we felt at home with Savio and Vera. Was really good to see the connection between the guests as we interact with everyone and in the end of the day we could stay longer for talk. The food was really good and not using shoes is priceless as we were in the sand all the time. One of our top picks in Jambiani – and a guest favorite. 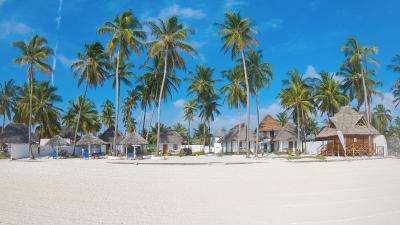 Located in Jambiani, Savera Beach Houses provides accommodations with free WiFi and seating area. 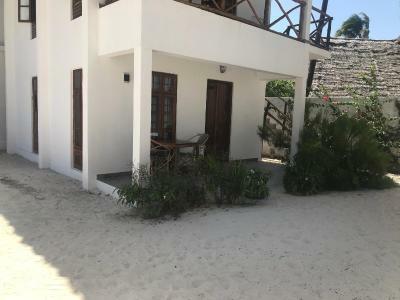 Paje is 4.3 miles from Savera Beach Houses. 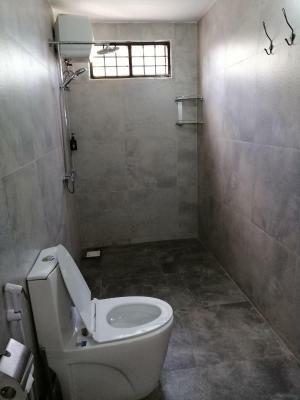 뀐 Located in the top-rated area in Jambiani, this property has an excellent location score of 9.8! 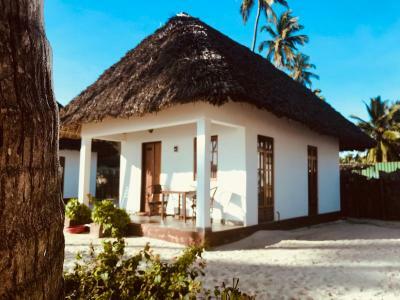 When would you like to stay at Savera Beach Houses? 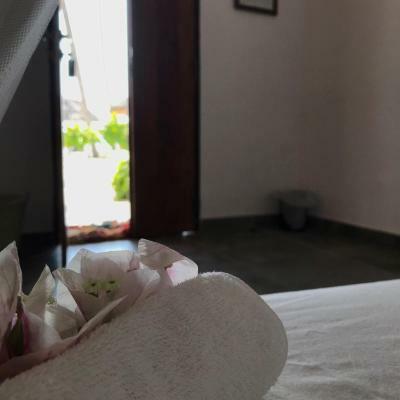 House Rules Savera Beach Houses takes special requests – add in the next step! Savera Beach Houses accepts these cards and reserves the right to temporarily hold an amount prior to arrival. Please inform Savera Beach Houses of your expected arrival time in advance. You can use the Special Requests box when booking, or contact the property directly using the contact details in your confirmation. Must say that the Wifi connection was the worst part of our vacations. 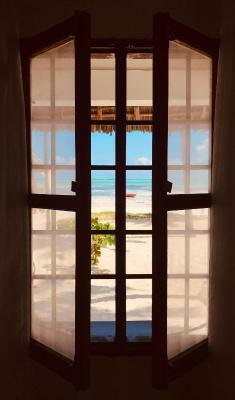 We loved our stay at Savera Beach House, it was really chill there, gorgeous view from the room. The way they served breakfast was really nice and everything was close (restaurants, shops). The rooms were clean, staff was friendly and helpful, thank you! Almost nothing, maybe AC or a more silent ceiling fan so you don't have to choose between noise or cool air, but I also get the power consumption aspect of this. This is like a hidden gem! The place is just like a scene from some paradise island movie, it is tremendous! 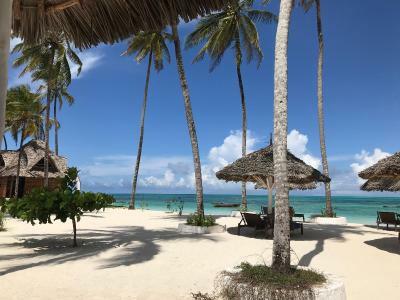 Fresh & really tasty breakfast served on your patio with magnificent view to the Indian Ocean and the pristine white sand beach (it is literally less than 10 steps!). Our host, Savio, was very kind & helpful and gladly arranged us transfers to & from the hotel + the other hotel staff is just as kind! 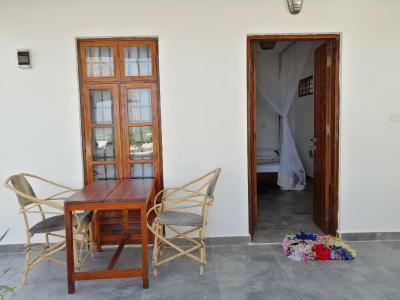 The property itself is quite small and intimate, yet very safe and the rooms have everything you need. The rooms are spacious and we had a really comfortable stay. I could go on for hours, this place deserves the 10 points or even more, actually! 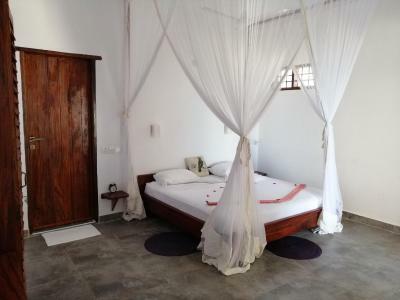 This lovely hotel is a definite ‘must’ when staying in Jambiani! Very good breakfast and food very good chef. 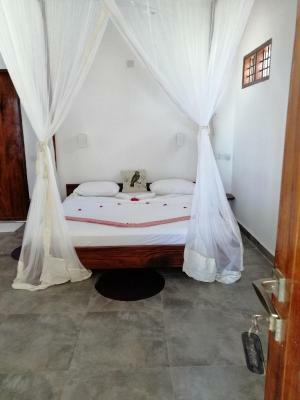 The bungalows are facing the quiet beach of Jambiani, it is clean, vast for 2 with a big bathroom and a huge bed. Also the balcony with sea view is really nice and the breakfast is really good. 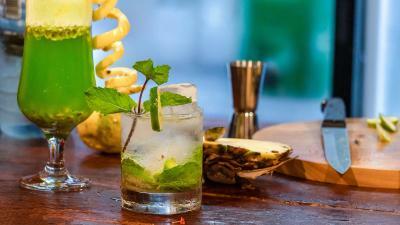 There is a bar and restaurant, the cocktails are great (thanks Ana) and the food delicious. 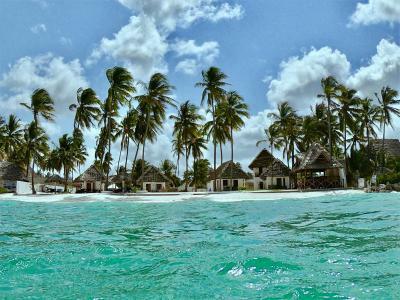 The owner is also super helpful finding us diving class and stone town tours! 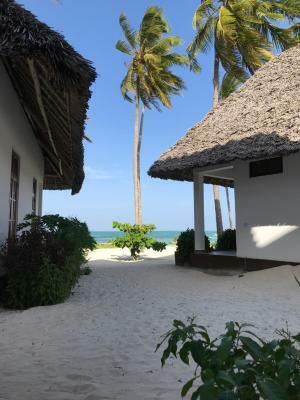 The beach houses were modern, spacious and comfortable. 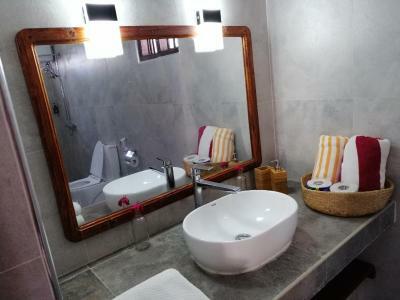 Everything was very clean and the attention to detail was evident. All are right on the beach and have a seaview. 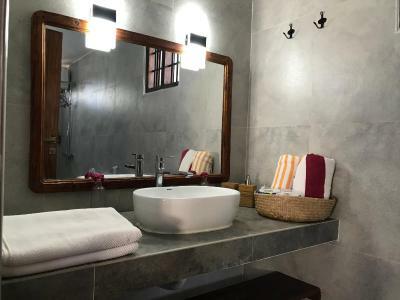 Rooms have all you need - great bathroom with both towels for the bathroom and beach, tea and coffee making facilities, safe, fridge etc. No air conditioning but with the ceiling fan and the breeze coming from the beach, we definitely didn't need it! 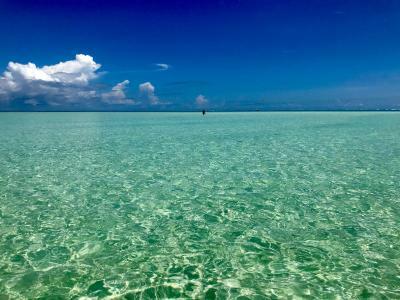 We specifically chose Jambiani beach because it is quieter than beaches in the North of the island - location was great. Good restaurants very close by but be sure to try out the food at Savera; seafood is their speciality! Breakfast is made up of fruit and eggs cooked to your request and served on the patio just outside your room - very nice and good quality! Oh and Anna's cocktails are great! :) All the staff were excellent and professional. Savio, the owner was brilliant at recommending restaurants and things to do. He got us in touch with Buccaneer dive centre. 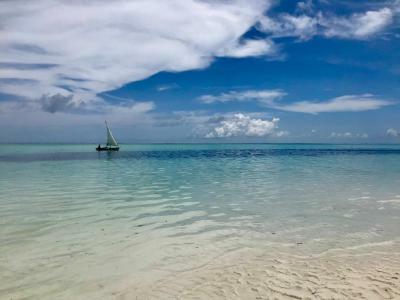 We did a day trip to Mnemba Island which was excellent for both snorkelling and scuba - we saw dolphins (without the craziness of Kizimkazi)! A super fun and relaxing experience - we hope to be back again one day! Savio was so kind and welcoming. Nothing was too much trouble and he and the team made us feel so welcome. 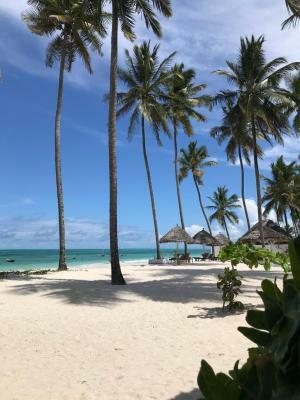 We had the best time at Savera Beach and would recommend staying here to anyone looking for an extraordinary escape! We had an amazing time at Savera. 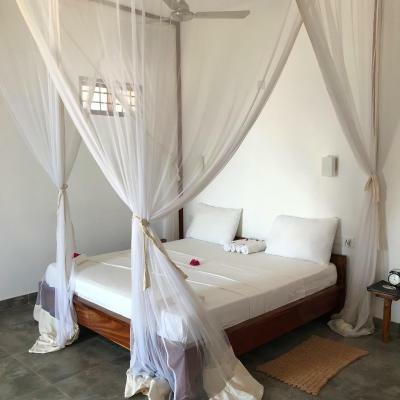 The rooms are beautiful and clean, the staff is very kind and helpful, the food was great and the location was also perfect with a beautiful and calm beach view from all balconies. It really exceeded all expectations and we would recommend it to anyone. The room is very spacious, clean and has all in all a very Zen vibe to it! The bed is big with mosquito netting all around it but the fan is above you so you can still get a breeze going with the net down! The bathroom is big with a nice shower. The beach is literally right there (unless it‘s low tide 😉). The staff is super friendly and are always happy to help! Best of all are the refillable glass water jugs so you don’t have to buy water bottles that only end up on the beach or the ocean! Biggest of plus!!! Everybody should do it!! !